For Every Three Pairs Purchased Supporting Veteran Causes, NBZ Apparel Will Donate One Pair to our Affiliated Nonprofit Downs Designs Dreams' Support-A-Veteran Program aiding veterans clothing requests within VA hospitals across the country. As a social good company, NBZ Apparel is committed to making a life-changing difference in the lives of disabled veterans. 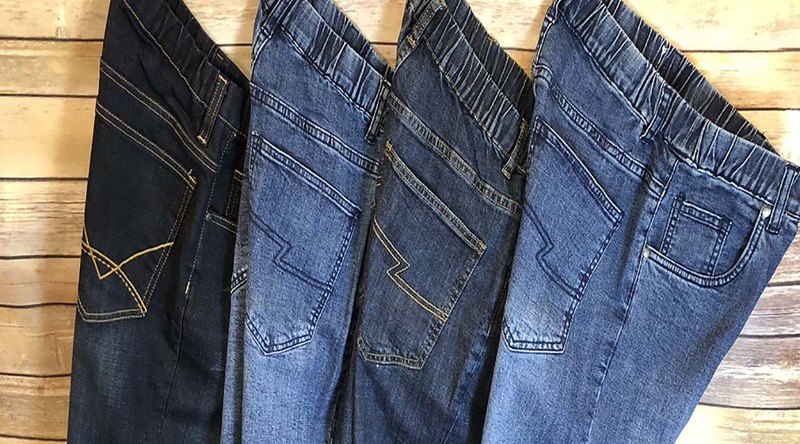 Serving as a disabled veterans clothing resource, NBZ Apparel has created fashionable adaptive wear jeans and pants. Our clothing has benefitted veterans who have suffered combat injuries, amputees, stroke victims, severe arthritis, as well as Alzheimer’s, Multiple Sclerosis, Parkinson’s, ALS, and more. 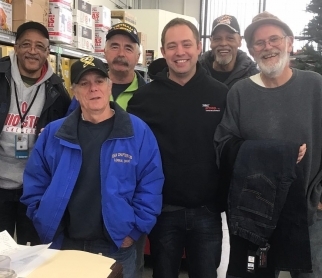 NBZ Apparel takes pride in being a veterans clothing resource while providing veteran assistance through its social good impact. NBZ Apparel Launches Its Social Good Program. Helps Veterans Through Their Partnership with Downs Designs Dreams’ Support-A-Veteran Program. "My background includes being in the National Guard for 6 years, law enforcement for 31 years and for the past eight years have been working as a contracted Nuisance Wildlife Trapper. 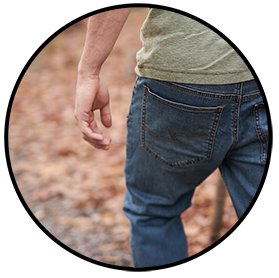 As a trapper and outdoorsman, I am constantly in need of good denim jeans. Two years ago I had hip replacement surgery and discovered that wearing jeans with a regular waistband and leather belt was too uncomfortable during the post-op healing time. The regular waistband cut into the top of the incision area when I was sitting, bending and stooping. My wife found the website for NBZ jeans and we decided to order them to see if they would prevent irritation of the incision. NBZ jeans were the answer to my pain. The elastic waistband doesn’t constrict the circulation and is flexible enough so I can sit, bend & stop without pain in the incision area. The fabric is excellent. It has stayed true to color and fit in spite of many, many washings. The denim fabric is also tough enough to withstand the hard use it gets resumed my trapping business. I need to walk through swamps, road ditches, wooded trails and bend over to set and check traps as well as use my legs to lift equipment and animals. I've also had compliments on their fit – which at age 70 made me feel pretty good! I highly recommend these jeans to anyone who has limited flexibility or lower extremity mobility. They are easy to get on, my shirt stays tucked in and they look good enough for going to church."